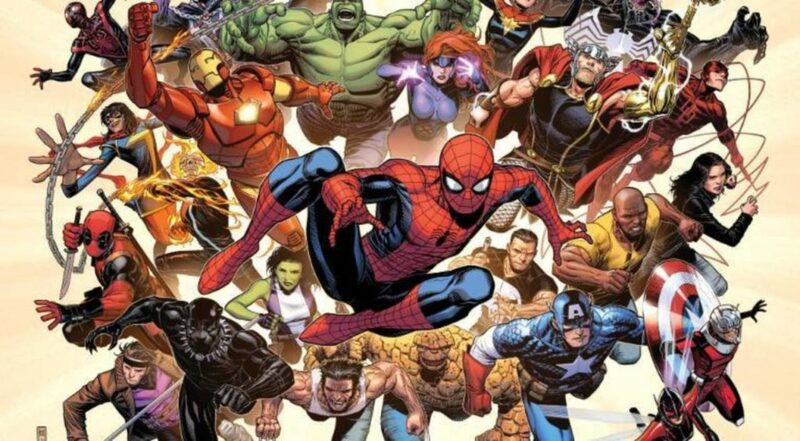 The Amazing Spider-Man is finally in the Marvel Cinematic Universe, which can only mean one thing: It’s time for a Modern Marvel Spidey reading order guide! 1) Spider-Man has approximately 700 billion tie-in series. I make an effort to find a place for many, and definitely all of the good ones, but some may slip through the cracks. As always, if you see something, say something. 2) My ‘modern’ Marvel era kicks off with the start of the 2000’s and the launch of Marvel Knights. There are TONS of great Spider-Man stories from before this time, and there’s also a Clone Saga. I include the essentials below. 3) Amazing Spider-Man is the flagship Spidey title, and as a result I may give short shrift to some of the other offshoots. Essentially, if you’re looking for the cleanest possible route through Spider-Man continuity, stick to AMS, with the occasional Civil War/Event interruption. Additionally, I’ll do my best to avoid spoilers for those catching up. While this initially started as a “modern” Spider-Man reading order, that’s clearly limiting the amount of great Spidey stories you read before the 2000’s approach. As a result, I’ve listed out the best Spider-Man comics of all time. Put these in your back pocket, and you’ll be a regular webhead in no time. Simply put, Amazing Spider-Man is an excellent comic book for the vast majority of its early issues, launching in 1963 and holding its own as one of Marvel’s best (if not the best) through the early 70’s. You would not be wrong to read the first 123 issues of Amazing Spider-Man straight through. I’d argue this is a must for any Peter Parker fan. The collection above will get you started and give you a feel for how much you may enjoy these early days of Spidey. As a final note, if you want, I have a reading order for you to read all of Spider-Man’s 1960’s appearances. The linked edition above will highlight 1968’s Spectacular Spider-Man magazine #1 and #2, which features an essential Green Goblin story. Note that you should definitely have read Amazing Spider-Man #39 to #40 prior to these issues! Note that the Clone Saga (really stretching the borders of ‘best’ and expanding into ‘intriguingly complex attention vortex’) runs through a fifth Complete Clone Saga Book 5 . The 2000’s are a very Norman Osborne heavy decade for the wall-crawler (see also: 60’s, 70’s, 90’s), so we start here with the Revenge of the Goblin story arc. I’d note as well that Peter Parker: Spider-Man #1 – #24 occur before these issues. I’d consider them less essential, but they’re out there. There are also a number of references to late 90’s Spidey continuity (with MJ in particular) – keep calm and carry on. JMS took over the writing reigns on AMS in June, 2001 with Amazing Spider-Man #30, and it was a title he wouldn’t relinquish until Amazing Spider-Man #545 in December, 2007. There are some VERY controversial moments from this lengthy Spidey run, including some of the worst Spider-Man stories ever told, but on average I’m a fan of the early going. JMS and John Romita Jr. take Peter Parker to some new and unexpected places, changing the status quo for Spider-Man in a number of meaningful ways. Note Here: You haven’t lost your mind – Amazing Spider-Man renumbers to the original numbering started in 1963 for the 500th issue. Like The Other, One More Day includes crossovers between the Spidey titles. It also might be the single most controversial frustrating thing to ever happen to the characters, and I say that fully aware that the Clone Saga happened. Following the conclusion of One More Day and with it the conclusion of JMS’ six year run on Amazing Spider-Man, Marvel made a decision to bring Peter Parker back to his roots. With this decision comes a reduction in Spider series, meaning Amazing Spider-Man can be read without much invasion or crossover from other titles. AMS also switched to a publishing schedule of three issues a month, meaning the numbering shoots up towards #700 fairly quickly. There are some really good Spidey stories within this 100+ issue run, including American Son , Shed , The Gauntlet , and the Grim Hunt . Dark Reign The List: Spider-Man #1 – For more on this Green Goblin focused Marvel event, check out the Dark Reign reading order. The Spider-Island crossover results in a whole slew of one-shots and tie-ins. I’m not going to link all of them as I’d like to go outside sometime today (just kidding, really just want to make time to read Original Sin), but the easiest way to get most of them is to browse by series on Marvel and enter “Spider-Island” into the search browser. The Superior Spider-Man & Marvel NOW! I won’t say too much about Superior Spider-Man in case you’re in the dark on what happens in AMS #700. What I will say, is that this most recent addition to the Spider-Man mythos from Dan Slott is highly, highly entertaining. One of my favorite Spider-Man developments in years, despite all the fan backlash you may have heard. From this point forward, I recommend you check out the Spidey sections of the Marvel NOW! reading order. This will get you every Spidey comic from 2012 to 2015, including great runs on Venom, Scarlet Spider, and Amazing Spider-Man. You’ll also find in this section a complete reading order for 2014’s Spider-Verse event. With that, you’re up to speed with Marvel’s 2015 Secret Wars, and you’ll want to pay particularly close attention to the Secret Wars Spidey tie-ins. Following Secret Wars, Peter Parker hits the big time as part of the Dan Slott led “Worldwide” story arc in Amazing Spider-Man. If you want every Spider related title from this time period, I recommend checking out Comic Book Herald’s All-New All-Different Marvel reading order. The link above will take you to Comic Book Herald’s complete Clone Conspiracy reading order, which includes Amazing Spider-Man: Worldwide Vol. 5. See here for Comic Book Herald’s complete Spider-Geddon reading order. Insert your commentary or clarifications here. Note here that solicits don’t include an Amazing Spider-Man #17.HU, which is upsettingly obnoxious. Props to the trolling, Marvel. Friendly reminder that Spider-fans looking for Miles Morales focused comics can find a complete Comic Book Herald guide just for Miles! Last night my 9 year old son asked me for a movie to watch. We tossed around a few ideas, and came down to his never having seen the Raimi Spider-man movies. So I pulled up the fist for him, and I was quickly pulled in to it too. Loved it all over again. So right away I wanted to read me some Spidey. But frankly? I’ve read pretty much every ASM up to the end of Superior Spider-Man, I struggled after Brand New Day ( I will always harbor a deep secret hatred for Quesada), but how can one live without Spider-man? So eventually I kept going. I’ve also read most every other PPSSM, Web, Spectacular, etc up to that point, but I jumped ship at Spider-Verse. And I am a little old school, so Slott does not do it for me. Too big, too many events, too much “TOO MUCH”. So I was about to re-read Blue, when I came across the “Amazing Spider-Man Reading Order (Modern Marvel Era)” and read good things about the back to basics Zdarsky PPSSM. And suddenly I am reading modern Spider-Man again. Thanks for the reading order Dave. Hi Thank you so much for this guide!! i had a couple questions but first let me make my self clear on what my goal is. so i have been very interested in spider man since i was younger but i recently started comics. i have been reading lots of the new 52 and the dc universe rebirth. But i want to start some marvel stuff and spidey is my fav hero other then THE FLASH lol. and my ultimate goal is to catch up to the newest Amazing spider-man run the world wide one. so i went in too the comic book store by my house and they recommended me some stuff and i decided i will start at big time (when slott starts writing it). so i bought Matters of life and death (652-547) because big time was not sold anymore. i also read amazing fantasy #15 and the amazing spider man 1-17 on MU. ow and i read the beginning of big time (648-652) on MU too and then read the book i bought. so i am currently reading until 700 on MU. so here are my questions. can i read just the amazing spider-man trough spidey island or is the rest of that event necessary. my other question is about spider verse. i am really confused when it comes down to that reading order. is it necessary to really follow that guide issue by issue or am i good by just reading trough the amazing spiderman after i read superior spiderman. and what amazing spiderman run is the one mentioned in the spider verse. is that the 2014 one? could you maybe send me some MU links if you understand what issues i am looking for. and then lastly what would be the most spider-man approach to reading secret wars i see that on MU there is an issue by issue secret wars page and it ends on renew your vows is reading renew your vows all i should do ?? i would rather not read trough all of secret wars because i probably wont understand anything because i have not read any other marvel stuff. Thank you so much for all these Amazing guides i am enjoying comics a lot. sorry i am being such a newbie with a million questions but thank you if you have answers to them!!!! I’m interested in the various Spidey Spin-Offs such as Spider-Gwen, Silk, and Scarlet, etc. I want to know if they are stand-alone? Or do you need to have read up on Spider-Verse or something else to grasp the gist of it? Spider-Verse will provide some background for Spider-Gwen. Silk makes her first appearances in the post Superior Spider-Man reboot of Amazing Spider-Man. Spider-Gwen’s background is less essential to enjoying her standalone series, I’d say, although she’s a highlight of Spider-Verse. Love your reading orders, just one quick question… Shouldn’t the Pulse 1-6 go before Marvel Knights Spider Man? I think the pulse issues lead right into the Marvel Knights story line as its in the Pulse that Norman Osborn is finally unmasked and confirmed to be the green goblin, thus put away in a jail cell for Marvel Knights Spider Man. I believe you’re right, at least according to my own guide part. Thanks, and enjoy the comics! Thwip! Another reading order! Thwip! Another one! Thwip! Yet another reading order to help me on my web-swinging journey! Thank you! I just have a question about the differences in this reading order vs. the complete Marvel reading order Part 1. Specifically under the JMS era, here you say read Spectacular Spider-Man 1-5 after AMS 46-50, but on the complete Marvel list you have a note to read it before AMS 46-50. Also, Blue 1-6 in the Complete Marvel list is listed after Spectacular 1-5, but on this list it would be read before those issues. I was wondering if there is a difference in the reasons for reading them in those orders, or if one of them is incorrect? Thanks!! Keeping up with these lists must be a huge challenge. I can’t even imagine. Thanks for doing this! Hi this looks like a great reading order that I’d like to try out however, is there a version of this reading order for these stories in trade paperback form or should I just try to find what tpb these issues are found in on my own? Thank you! Thanks for all your hard work!! I just completed reading Amazing Spider-Man through issue #700. Before I go on to Superior Spider-Man, I noticed that Marvel Unlimited has issues #700.1 – #700.5. I was wondering where these fit in the reading guide. Should I read them before Superior? Or should I read them after Superior but before the all-new Amazing Spider-Man? So I’m just now finishing up the Civil War event and am on issue 539 of Spider-Man. How would you recommend reading the what comes next in light of the other trades/events coming up. I’m thinking specifically about things like The Initiative, World War Hulk, Secret Invasion, Dark Reign, Siege, Fear Itself, etc… Just looking for a general outline, like “you’ll really want to read issues ______-______ of ASM before you read Fear Itself.” Thanks! Top of my head, the Dark Reign era stories stand out the most. American Son and so on. Hi there- your reading orders are amazing, and I have enjoyed catching up with so many Marvel events! I was wondering if you were going to do one for Spider-verse. Please do! Thanks! I’m just wrapping up j Michael Straczynskis run, and I was wondering something. When I eventually get to spider island, do I have to read every single tie-in?If I don’t what are the core issues during spider-island? If you do the Amazing Spider-Man and Venom tie-ins you should get a good feel for the event. The tie-ins aren’t too overwhelming for Spider Island, but definitely understand if you don’t have time for them all! Would I miss a ton of details if I just read the amazing spiderman series alone? So I dont miss these details, which other things do you find essential? You’ll be ok with that approach. When you get to the other and one more day, you’ll need to read the the tie ins to get what’s going on. Would also recommend millar on marvel knights. So is this the end of a PP/MJ Romantic relationship? So far it has been, yeah. The newest AMS issues have them as friends only. It’s sad. I think she’s a great foil. But sounds like Slott and co. Don’t want to go there. I guess that means there’s potential. I just got the Unlimited Subscription (couldn’t find any deals with those coupons) for a 1 month fee, but I think I will upgrade very soon to the full year. These reading guides are great. Thanks for the post. One thing I noticed is your mention of the Clone Saga for Spider-Man. I looked for a good reading guide for this, and haven’t been able to find one other than just noting the collected editions in each of the Trades. The problem is that many of these issues are not included in the unlimited subscription. I made a list of what ones are missing from the subscription and what ones are not available digitally yet and the missing ones are a majority of the series. Is this saga worth a read? From what I understand it was a major story arc for spider-man and since spidey is my favourite I was hoping to give it a read. I hope Marvel is adding these issues and adding them to the Unlimited service. A lot of mid run missing issues in here. Great question. The Clone Saga is frequently referenced as possibly the worst thing to ever happen to Spider-Man comics. It’s a running joke in many snarky circles. The Clone Saga is also kind of insanely ambitious and developed a ton of Spider-Man characters that are making comebacks in the comics currently (For example: Scarlet Spider). Honestly, making your way through the whole thing is a HUGE task. Spider-Man is my favorite character, too, and even I’m like “Yeah that might be too much. I’d have to quit my job.” If you do decide to go for it, I really like this guide. It’s a 35 part series that dives DEEP into the Clone Saga. I might recommend just reading that and then that way you’ll have the history under your belt. Thanks Dave, that sounds good. I had only seen the wikipedia article about it saying it was one of the biggest and most controversial spider-man events so I figured it might be worth a look. After compiling my list of what issues are not in Unlimited, I don’t think it is worth it to read the whole thing. That guide looks great and I’ll have to check it out. I also have been loving the Ultimate Spider-Man books. They are fantastic. Thanks for posting that guide as well! Love Ultimate Spidey, glad you’re enjoying! Going back to my comment earlier about the clone saga, I just listened to the “This Week in Marvel” podcast about the marvel history of the 90’s in marvel. There’s a big section in there about the clone saga and how it came about and why it happened the way that it did. Very interesting listen. Also, they have done a few of these podcasts now, one for each decade sort of thing and they’re all good listening for those interested!